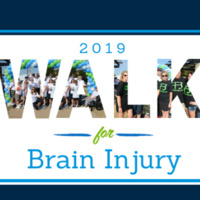 Come on out Saturday, March 30, 2019 and join the UT Southwestern TBI/Concussion team as we walk for those with brain injury. The money raised goes to providing education, information, and programs to help individuals with brain injury, their families, and caregivers in Texas. It’s estimated that 144,000 Texans sustain a brain injury each year – nearly double the capacity of Cowboys Stadium. Your support helps The Brain Injury Association of America - Texas Division to be the voice for brain injury in the Lone Star State and provide help, hope, and healing to every Texan impacted by brain injury.